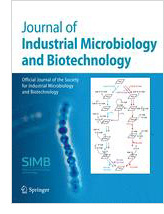 The Society publishes two publications for its members, the Journal of Industrial Microbiology and Biotechnology, a monthly, peer-reviewed journal and the Society’s bimonthly newsmagazine, SIMB News. The Society also has a large collection of books from the Developments series and past meeting programs available for purchase. To purchase programs and proceedings, please contact Jennifer Johnson, Director of Member Services.